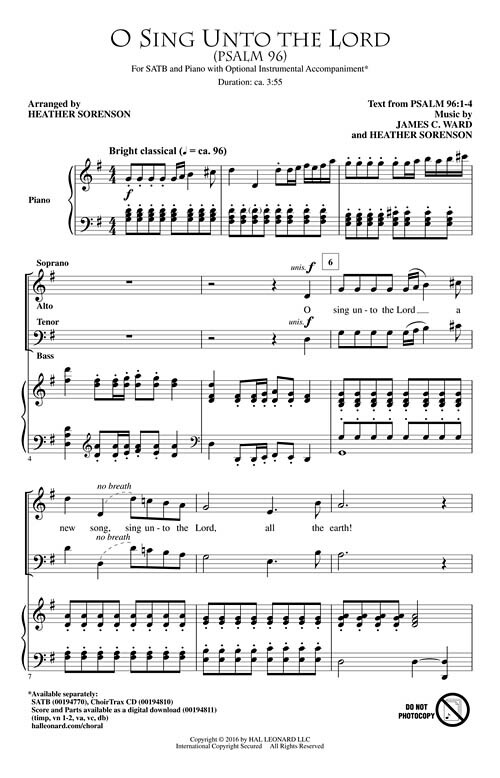 Uses: Call to Worship, General Scripture: Psalm 96 Harkening back to traditional oratorio-styled chorus writing, this anthem just springs from the printed page! It features a vibrant touch of the modern, complete with a sparkling accompaniment, that is immediately engaging, lifting the heart and touching the soul. The ranges are achievable, and the gentle counterpoint offers some great artful moments. This positive affirmation of praise is useful any time throughout the church year and is an excellent service opener. Score and Parts (timp, vn 1-2, va, vc, db) available as a digital download.